Looking to head away before the busy summer months? 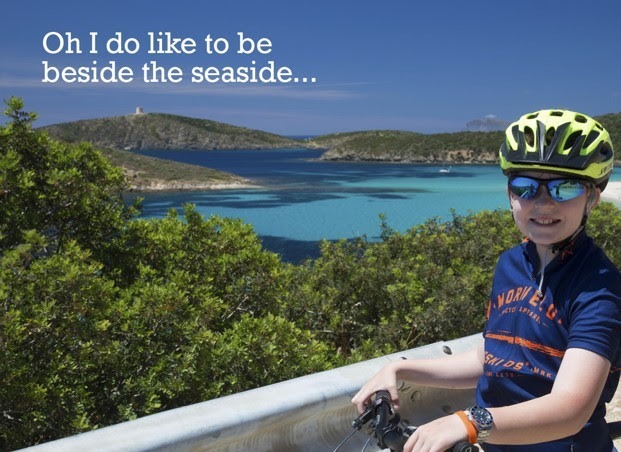 Sardinia is the destination for you! Surrounded by the sea, our Family Flavours tour has plenty of coastal gems to discover. Portixeddu beach is definitely one of the highlights, a 2.5km treasure set at the foot of a small cliff. With white sands, sparkling seas and endless space to roam, this is a Mediterranean classic without the tourist masses. Northern Spain’s Asturian Coast has the best kept secret around: it’s home to some of the most amazing beaches in Europe. A particular highlight of this region is the impressive Playa de Cuevas del Mar, a beautiful bay renowned for its spectacular rock formations which provide endless hours of fun for children exploring its caves, tunnels and archways. Finally, if you don’t want to go abroad, why not visit Britain’s natural paradise Northumberland? Set beneath one of the country’s most iconic castles, Bamburgh beach has nature and history bound up in one magnificent bundle.